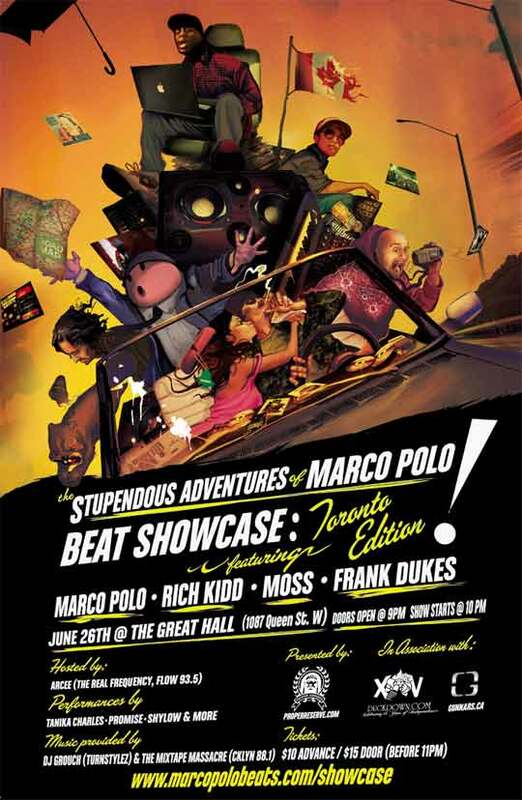 A night of production mastery comes to Toronto with The Stupendous Adventures of Marco Polo Beat Showcase: Toronto Edition. The event will feature producers Marco Polo, Rich Kidd, Moss, and Frank Dukes. In addition to performance by Tanika Charles, Promise, and Shylow, the showcase will be hosted by Arcee w/ DJ Grouch & The Mixtape Massacre on the turntables. Head over to the showcase website for more info.